In “The Way to Salvation,” Ayman al-Zawahiri blasts the jihadis in Syria for clinging to territory under the auspices of Turkey. On Feb. 5, al Qaeda’s propaganda arm, As Sahab, released a 45-minute video featuring the group’s global emir, Ayman al-Zawahiri. The bulk of the video, titled “The Way to Salvation,” is dedicated to explaining why the jihadists have not succeeded in countries that experienced the 2011 Arab uprisings. That is, Zawahiri seeks to explain why his men and their ilk have not come to power in several countries throughout North Africa and the Middle East, such as Egypt, Libya, Syria, Tunisia and Yemen. These uprisings, although they were initially fueled by popular “anger,” have ended in “failure,” Zawahiri says. The al Qaeda emir rehearses some of his old arguments in this regard. He claims the Arab uprisings failed because too many people were willing to take part in democratic elections under secular constitutions, some salafis were too eager to obey their corrupt rulers, while Islamists in Tunisia and Egypt failed for a variety of reasons. He is especially critical of Ennahda in Tunisia, saying the group deceived the masses and was really a “secular movement” all along. But Zawahiri’s decision to once again lament the outcome of the 2011 Arab Uprisings isn’t what is important in the video. His critique of the jihadist project in Syria stands out for being especially harsh. And the timing of his criticism is probably not an accident. Late last month, another major dispute erupted in the jihadists’ ranks. As in the past, the dispute pits a number of Zawahiri loyalists against Hay’at Tahrir al-Sham (HTS) and its leadership. Zawahiri doesn’t address HTS or its leader, Abu Muhammad al-Julani, by name. But parts of his message are clearly intended to rebuke HTS for relying too heavily on Turkish support. Here, Zawahiri issues a stunning rebuke of the jihadis who once fought under al Qaeda’s name. He says that while “many” would blame “the gang of Ibrahim al-Badri” (meaning Islamic State leader Abu Bakr al-Baghdadi) for the receding “jihadist tide” in Syria, the fault also lies with virtually “everyone” else among the jihadis, as the Islamic State’s erroneous ways have spread like an “epidemic.” He means the jihadists’ desire to hold onto ground at all costs. Zawahiri is referring to HTS’s desire to hold onto Idlib province, or much of it, as a proto-emirate, even as the insurgency against Assad declines. 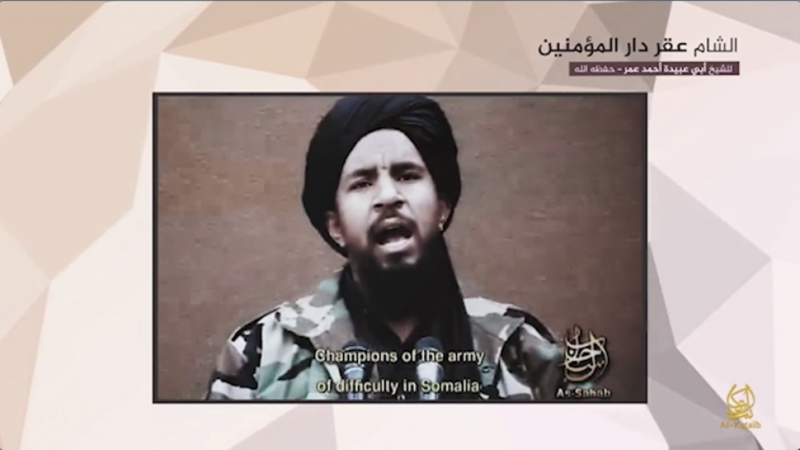 To further bolster Zawahiri’s warning with respect to Turkey, As Sahab also includes archival footage of Abu Yahya al-Libi, a key al Qaeda ideologue who was killed in a US drone strike in 2012, addressing jihadis in Somalia. In should be noted that while al-Libi did warn jihadists to be wary of support from nation states, his position was nuanced. Al-Libi actually endorsed the argument that al Qaeda and its fellow travelers could receive assistance from nations, including Turkey, as have other al Qaeda ideologues. Still others, such as Abu Muhammad al-Maqdisi, are more critical of such relationships. In “The Way of Salvation,” Zawahiri even compares Turkey to Pakistan. Turkey and the Gulf States will not give one-tenth of what Pakistan gave to the jihadists’ cause, he argues. And although Pakistan was generally supportive of the mujahideen during the 1980s, Zawahiri implies that the “secular country” turned on the Arab foreign fighters after the jihad against the Soviets and then again during the “Crusader invasion” of Afghanistan in 2001. Zawahiri’s remarks in this regard quickly drew the ire of some pro-HTS jihadists and their sympathizers. Ahmad Zaidan, for instance, criticized Zawahiri by pointing out that the al Qaeda head doesn’t level the same accusations against the Afghan Taliban, even though it is supported by Pakistan. Indeed, the Pakistani story, like the Turkish one, is complicated. Some al Qaeda loyalists in Syria were quick to point out that Zawahiri didn’t mention HTS by name. They knew that his words could further inflame the internal strife affecting the jihadis ranks. From Zawahiri’s perspective, the jihadists’ prospects in Syria look grim. But Zawahiri and As Sahab are keen to highlight the unity of al Qaeda’s efforts elsewhere. Early on in “The Way to Salvation,” As Sahab flashes the image below. 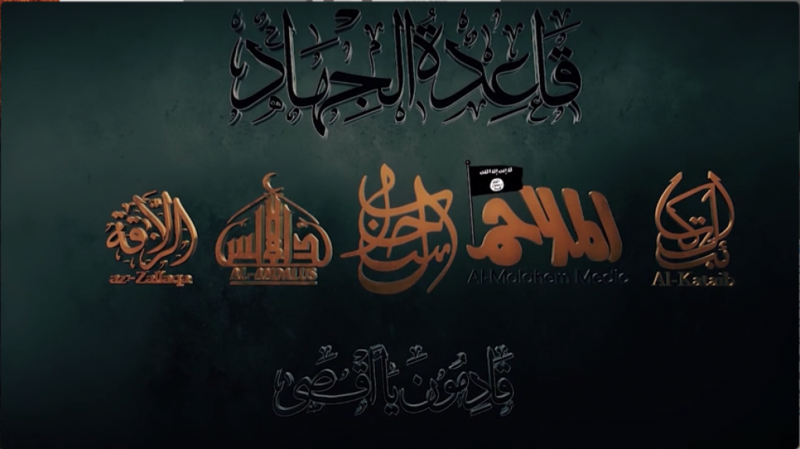 The image displays the logo for As Sahab and the media houses of four other al Qaeda branches: Az-Zallaqa (Jama’at Nusrat al-Islam wal-Muslimin, JNIM, or the “Group for the Support of Islam and Muslims”), Al-Andalus Media (Al Qaeda in the Islamic Maghreb), Al-Malahem Media (Al Qaeda in the Arabian Peninsula), and Al-Kataib Media (Shabaab in Somalia). JNIM has used the same image in the past. Notably absent is any logo for an al Qaeda propaganda arm based in Syria. The logos for As Sahab and the media arms for al Qaeda’s regional branches. No jihadist group in Syria is represented in this image. In addition, “The Way of Salvation” contains old clips of al Qaeda’s regional emirs discussing various matters. Qasim al-Raymi, the head of AQAP, discusses how the revolution in Yemen was supposedly scuttled by America and Saudi Arabia. Abu Musab Abdul Wadoud, the emir of AQIM, encourages the mujahideen to unite in one rank. As mentioned above, Shabaab’s leader, Abu Ubaydah Ahmad Umar, warns Syrian jihadists of international plots against them. Another clip features Asim Umar, the emir of al Qaeda in the Indian Subcontinent (AQIS), encouraging his followers to fight on. (An arm of As Sahab produces AQIS’s media content, so it is represented by the As Saha logo in the image above. Again, it is noteworthy that no jihadist leader in Syria is represented in the video. Other deceased al Qaeda figures are included as well, including Anwar al-Awlaki (who claimed that America was trying to stand up a “fake” version of Islam) and Nasir al-Wuhayshi, the deceased emir of AQAP. Dead or captured Jihadis might be seen as martyrs who strengthen the cause, whereas *discredited* Jihadis, alive or dead, weaken the cause. Therefore, I try to measure things not by the number of Jihads killed or captured, but rather, by the number of Jihadis discredited. Granted, discrediting is harder to measure than deaths or captures. Still, it seems from this dispatch there is a great deal of red-on-red conflict among the Jihadis. They are splintering into factions, and fighting each other. What’s more, their followers credulity in their own theology/ideology seems greatly challenged by the failure of the many, many so-called Califs of self-declared proto-emirates. If so this is very good news! The big question then becomes: to what extent have US and allied actions contributed to this state of affairs; should we stay and encourage factionalism & work to lower credibility (are we really that savvy?) or should we withdraw and let them fight it out between themselves? Complicating this question is the likelihood that the actions of other, non-allied forces (Russia, Iran for example) are also contributing to the collapse of the emirates, factionalism, and lack of a credible narrative we see on display. Hey Zawahiri, your problems will only compound as long as you continue to worship the imaginary ‘Allah’ and follow the incoherent rambling of the so-called prophet. It’s time for a cold hard look at what you’ve wasted your life doing.